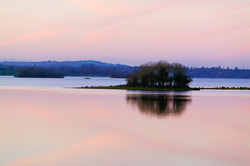 There are many beautiful spots in Cavan, but it is a county that needs to be lived in to be photographed well as the scenery is quite subtle. The lakes are particularly lovely, but they need to be captured in very specific light and wind conditions - at other times they are quite flat and uninteresting. 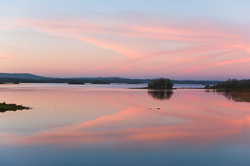 The evening photos of Lough Ramor demonstrate the real beauty of one of the lakes in Cavan, besides the town of Virginia. 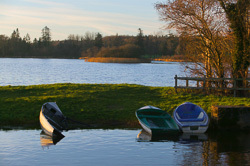 The image of the small harbour and boats is another example of a photograph that captures both the light and stillness of the view. We have many photographs of Cavan in our archives. Please contact us if you are looking for an image of Cavan that is not in this portfolio and we will be happy to look through our pictures and we will get back to you to let you know if we have the photo of Cavan you may be looking for.